Harri Mäkitien liikkeenjohdon monipuolinen ja pitkä kokemus antaa tukea organisaation monille tasoille. Hän työskentelee henkilökohtaisella tasolla ammattimentoroijana ja organisaatioiden avainhenkilöiden johtajuuden kehittämisessä; pienryhmissä tiimityöskentelyn kehittäjänä, ristiriitojen poistajana, osaamisen kehittäjänä; isommissa yhteisöissä muutosprosessien, visioinnin sekä monimuotoisuuden ja ryhmätyöskentelyn kehittäjänä. 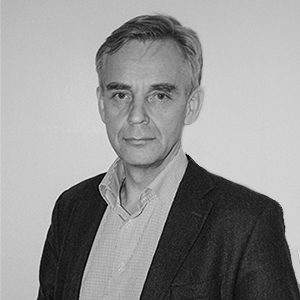 Kokonaistasolla hän on kehittämässä organisaatioiden yhteistyötä, ristiriitojen poistamisessa, strategisten suuntaviivojen luomisessa, liiketoiminnan analysoinnissa sekä muutosjohtamisessa. Riippuen organisaation tarpeesta hän voi työskennellä yhtäältä yhden organisaation jäsenen hyväksi, toisaalta isomman organisaatioryhmän kehittämiseksi. Konsultointiprosessin ensimmäisinä askelina Harrin vakiintuneena tapana on keskustella organisaation oikeista tarpeista. Jokainen liikkeenjohdon asiantuntijalähestymistapa suunnitellaan huolella läheisessä yhteistyössä organisaation edustajan/edustajien kanssa. Tällä huolehditaan siitä, että asiantuntemuksen tuki vastaa organisaation todellisia tarpeita. 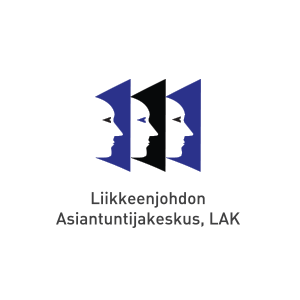 The LAK – Business Experts network was founded by seasoned business experts from different industries and with different functional experience. Consultium is working very intensively with LAK on several joint or multitask developing business projects to produce the best practical and joint expertise for our customers. All the experts of the LAK network have comprehensive experience from the pressure in the rat race, having succeeded in their own businesses and they know what challenges you meet out there. The extensive network, the experience from different areas of business and the versatile expertise will guarantee that you will find someone who understands your issues and challenges, whatever business you are in. 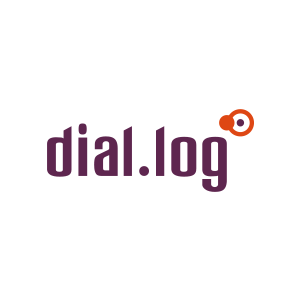 Dial.log is a company established in Finland in order to deliver and improve corporate branding through direct work with the client. This work is established ensuring their clients use creativity to drive everything from employee behaviors and new product development to visual identity and communications. Leading expert in Dial.log is Ivana Pesic. Born in Serbia in a Mediterranean family with design in her blood, Ivana’s father’s was a photographer; mother and brother both worked in print & publishing industry. Life in Serbia was challenging so after graduating in graphic design Ivana went to study politics in Germany. At just the age of 25, she was appointed as the youngest Director of Brand Communications in Central Asia. Now having over 10 years of experience in building strong brands, she has successfully delivered strategies and campaigns for big corporations and SMEs. Within the last 5 years Ivana has shared her learnings and expertise to others via training sessions in academic institutions and business advice centres across Europe. Determined, courageous and adventurous by nature, she came to Finland to start her own company two years ago. “My work is a creative combination of Mediterranean emotions and German discipline”.